At the height of the financial crisis, Deutsche Bank mispriced derivative assets in a multibillion dollar portfolio to hide trading losses in the credit markets. Now, after a five-year investigation, they’re paying the price. Overvaluing the portfolio by $1.5 billion, the bank filed false financial statements for at least six months. Officials are blaming it on “inadequate internal accounting controls” caused by the chaos of the crisis. Because the crisis caused a huge financial fallout, the bank claims that were no standards for assessing risk at the time the portfolio was valued. 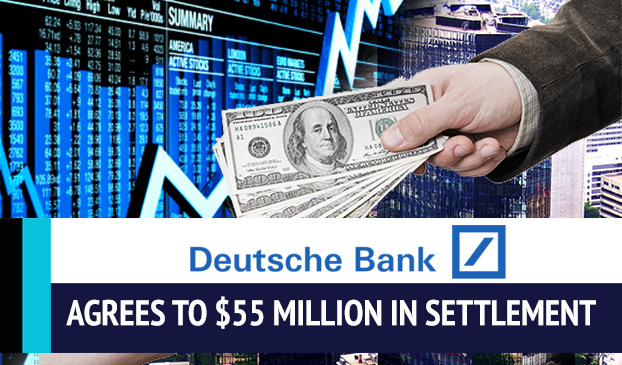 Although the bank has not admitted to violating federal securities law, they have agreed to a $55 million payout to the Securities and Exchange Commission. Despite the instability induced by the crisis, the S.E.C. has ruled in a 13-page cease-and-desist order that although there were serious complexities, the bank did not take the time to properly calculate the risk for the portfolio. The financial crisis, which was caused by the the collapse of Lehman Brothers in September 2008 and the near-collapse of the insurance corporation American International Group, created a complex atmosphere and a whole slew of frenzied behaviors. The portfolio dealt with complex securities and improper valuation, and is one of the biggest cases of this nature to date. The investigation came after two former employees, Matthew Simpson and Eric Ben-Artzi, blew the whistle on the misvaluing of the derivatives. These employees informed the S.E.C and other relevant parties that the false pricing overvalued the portfolio so the bank could avoid the need for a government bailout by hiding the true amount of financial losses. The Deutsche Bank settlement is among the last investigations caused by the crisis to come to a conclusion. The bank does not take responsibility and believes that this occurrence holds no indication for past and future activities, but released a statement that said it “has enhanced policies, procedures and internal controls regarding the valuation of illiquid assets” since recovering from the financial crisis.